On June 12, 2015, the American Academy of Implant Dentistry awarded Dr. Jack Hahn for a lifetime of outstanding achievement. Dr. Hahn, developer of the original tapered implant and practitioner who has placed and restored over 45,000 implants over the course of his 45-year career, accepted the award at the AAID?s summer meeting, coinciding with the launch of the new Hahn? Tapered Implant System. 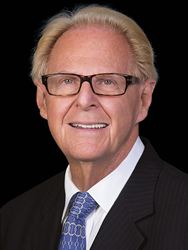 The prestigious AAID award joins a long list of accolades for Dr. Hahn that includes the Aaron Gershkoff Lifetime Achievement Award, the Venue and LEAD magazine Healthcare Leadership Award, and his appointment as Board Examiner for the American Board of Oral Implantology and Implant Dentistry.